Essentially, multicellular organisms are made up of more than one cell. As such, they are different from unicellular (single celled) organisms that only consist of a single cell. Like unicellular organisms, there are a wide range of plant and animal multicellular organisms in existence. Compared to unicellular organisms, multicellular are also more complex given that they are made up of different types of specialized cells that carry out different functions. A majority of animal species, plants (on land) and fungi are multicellular organisms. These range from fungi human beings. * Multicellular should not be confused with colonial organisms. 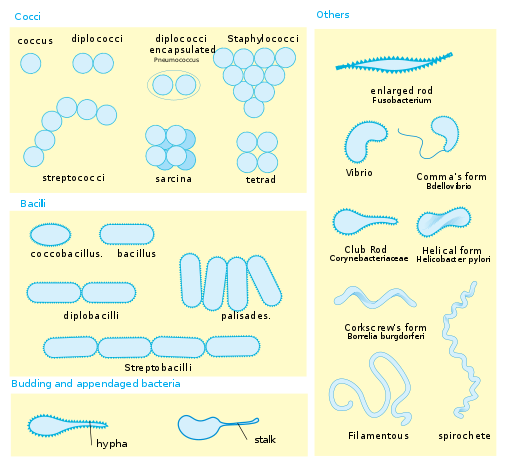 Colonial organisms are made up of a group of identical cells such as the staphylococci bacteria which can survive on their own as single cells. This is because these individual cells can independently carry out all the functions that are necessary for life. Colonial organisms are therefore different from multicellular organisms that consist of different types of differentiated cells which serve different functions. Moreover, individual cells of multicellular organisms cannot carry out all the functions that are necessary for life. All the life activities of a unicellular organisms are carried out by the individual cell and its organelles. Multicellular have differentiated cells that form the different tissues and organs (liver, heart, vessels etc) that carry out different functions for the survival of the organism. The area to volume ratio factor prevents single cells from becoming large in size while multicellular organisms grow and enlarge in size with cells dividing and increasing. The life span of single celled organisms is short (this is due to the load of work they perform) while the life span of multicellular organism cells is longer given that different cells carry out specific functions. While all consist of more than one cell, they start out as a single cell. The cell proliferates to produce many more cells that result in the multicellular organism. The process starts with a single fertilized cell that increasingly divides to form many more cells. In the process, the genome causes the cells specialize through selective gene expression. This is the first process and it involves the growth and division of the cells. Here, the cells divide through a process known as mitosis (somatic cell division) Produce two equal copies of themselves. 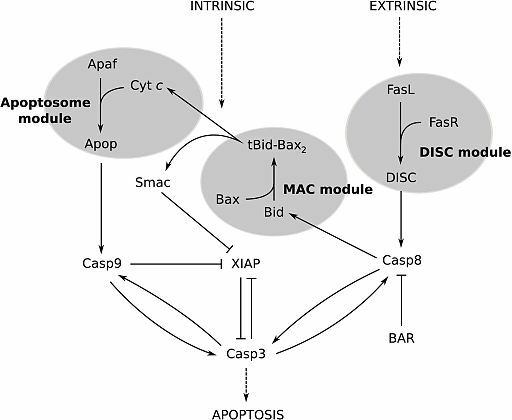 During this phase, growth factor signaling pathways serve to activate the cells to enter the cell cycle. This process of cell proliferation is highly regulated to ensure that there is balance between the different types of tissues. 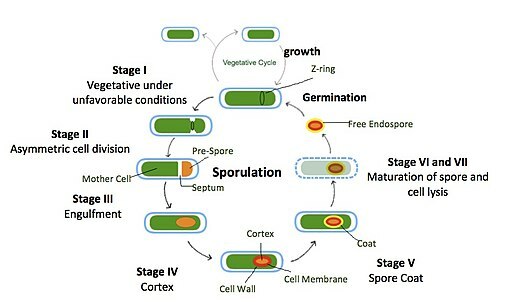 This phase is largely involved in the production of many cells from the first fertilized cell. Cell specialization is the process that is responsible for the production of cells with different traits at different positions. This process sees cells (embryonic cells) changing from their simple form into more specialized cells both in structure and function. This is all made possible by a process known as gene expression where given genes are either turned on or off consequently dictating the manner in which the cells will function. Cell differentiation is particularly important among multicellular organisms. It can be argued that this is one of the most important processes that sets multicellular organisms from simple, unicellular organisms. This is due to the fact that the process results in the transformation of the simple zygote in to a complex organism with different types of tissues and cells. For instance, whereas the heart and blood are both made up of cells, they are made up of different types of cells that have specialized to carry out different functions, which ensures the survival of the organism. Differentiation continues into adulthood to ensure that the body has all the cells it needs. For instance, in the event that the body encounters a new antigen, cell differentiation of the stem cells will produce the cells required to counter the new and potentially harmful antigen. While all the cells contain the genetic material (genes) responsible for cell development, the some of the genes, in the cells are either expressed or repressed allowing a group of cells to differentiate into specific types of cells for a given function. This is made possible by certain signals inside and outside the body that trigger which genes will be expressed or depressed. This is an important process given that it helps in the development of different types of cells that serve different functions in the body. As the cells differentiate, they change in shape and size depending on their functions. With each types of cells carrying out their respective functions, they ensure are able to support life of the organisms. This process is responsible for coordinating the behaviors of respective cells in relation to the neighboring cells. Simply put, this involves direct interaction of the surfaces of the cells, which is essential in both the development and functioning of the organism. This interaction may also occur through the matrix (fluid between the cells) allowing communication between the cells through signals. The process (cell-cell interaction) is important for multicellular organisms in that it is responsible for a variety of physiological processes that take place. This therefore contributes to the coordinated functioning of the organism. This interaction (communication) between cells is made possible by a number of molecules including peptides, proteins, amino acids and steroids among others. The extracellular spaces are filled with fluids. This spaces also contain various constant signals. However, any given group of cells can only respond to given signals while ignoring others because they have specific cell surface receptors that can only receive and respond to given signals. The surface receptors allows the for binding with specific molecules so that the cell can respond appropriately. This type of signaling is short-lived and only affects the local cells. It occurs when signal molecules are released to cells and travel through the extracellular fluids to reach other cells that are closely located. This is largely due to the fact that most of the molecules are either destroyed by enzymes or removed from the extracellular spaces prohibiting them from travelling far. As a result, they can only relay signals to nearby cells. This type of interaction also takes place during early development. Endocrine signaling is the type of interaction where the signal molecule (hormones) is able to travel throughout the body through such systems as the circulatory system to reach their target. Unlike Paracrine signaling, hormones have a longer life span, which allows them to reach distant cells and cause them to respond. This types of cell interaction is particularly common among the cells of the nervous system. Neurotransmitters serve as the signal molecules, allowing the cells to rapidly communicate with other distant cells. Here, the signal molecules travel through extensions of the nerve cells and are released at the tip that borders the target cells. Once in contact with the target cells, the neurotransmitters cause the cells to respond. Cell movement is the process through which the cells are rearranged so as to form the necessary tissues and organs. During embryonic development, cells go through a complex process of events that lead to their respective shape and positioning in the formation of all the essential tissues and organs in multicellular organisms. This process occurs once the cells start receiving signals that influence a complex and well coordinated mechanism that moves the cells in the right direction to the intended destination. Failure to move to in the right direction and to the right destination is likely to result in problems of development of the fetus and deformation. As previously mentioned, multicellular organisms are complex organisms with different types of differentiated cells that are organized to form tissues, organs as well as various organ systems in the body. Most of the multicellular organisms are visible to the naked eye, which means that it is possible to view them without using the microscope. 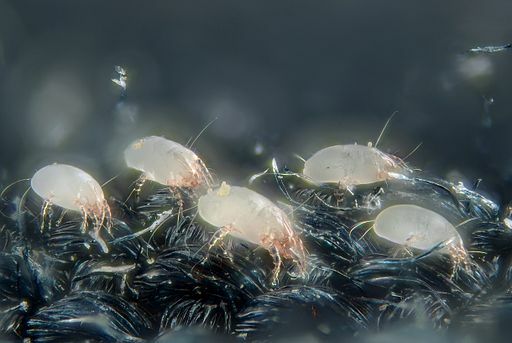 However, some, like mites are too small and require a microscope for observation. A number of microscopic techniques are required to view and study various multicellular organisms, their structure as well as their cells. Microscopy is also used for research purposes as is the case with studying cancerous cells and other pathological studies. Stereo microscopes, also known as dissecting microscopes, are a type of binocular microscope that can be used for viewing the finer details of larger specimens, in this case multicellular organisms. One of the biggest advantage of using a stereomicroscope to view such multicellular organisms like flies, ants or mosquitoes among others is that students can view the fine details (such as filaments) more closely while the organism is still alive. This means that the organism can be viewed without being stained. This technique only allows for the external structures (surface) of the organism to be viewed. However, staining can be use to view such organisms as mites. As for the larger multicellular organisms, they can be viewed under the microscope by simply placing the organism (insect, leaf etc) under the stereomicroscope and adjusting the magnification to view the surface of the organisms. The compound microscope provides higher magnification compared to the dissecting microscope. For this reason, it is the best tool for viewing multicellular organisms at the cellular level. For instance, using the compound microscope, it is possible to view and study the epithelial cells that line the inside of the mouth or cells of such plants as onions among others. In medicine, biology and research, histology involves studying the anatomy of cells and tissues of multicellular organisms using a microscopy. This is used to study tissues as well as for diagnosis purposes by pathologists. Unlike viewing epithelial cells of the cheek, viewing body tissue required more complex preparation of the sample. 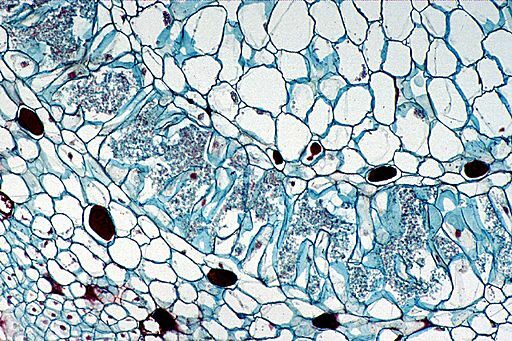 Very thin sections are required for microscopic observation of tissues. However, fresh tissues tends to be delicate and thus require a great deal of care to be taken when preparing the sample in order to get a better view of the tissue. Therefore, the samples have to be supported in order to cut and obtain good, thin sections. Paraffin wax - Apart from freezing, paraffin can be used to fix the sample. Here, the liquid is used to infiltrate the sample that is then converted in to solid to cut thin sections. This process is known as embedding tissue where the tissue is embedded in paraffin wax blocks. A sharp blade in a holder (or a microtome) is set at an angle and used to slice (sectioning) the block to obtain quality thin sections of the sample. Once the thin sections have been obtained, staining is carried out before viewing under the microscope. Staining starts with the removal of the paraffin wax (or the fixative that was used). This process is known as deparaffination and involves using xylens, alcohol and water. The fixed section is run through xylenes then through alcohol and finally through water to wash the section and hydrate it. To view the section under the microscope, the section (s) is stained using specific stains depending on the diagnosis. Multicellular organisms consist of “multiple" cells. However, they not only have many cells, but specialized cells that carry out different functions. Groups of cells form tissues and organs, which perform different functions for the survival of the organism. Students have the opportunity to observe a wide range of multicellular organisms fro plants to animal and compare different tissues and cells that make up these tissues.